Proposal to Lift Humpback Whale Protections – Neptune 911! Editor’s Note: An environmental news release follows this report. (Reuters) – U.S. fisheries managers on Monday proposed lifting protections for most humpback whales around the globe, including in American waters, based on evidence the mammals have made a strong comeback since commercial whaling drove them near extinction. The humpback whale is currently listed as endangered throughout its range. But under a plan that opened on Monday for public comment, the National Oceanic and Atmospheric Administration is proposing to classify most of the world’s humpback populations into 14 groups with varying forms of protections under federal law. The stripping of safeguards under the Endangered Species Act means U.S. ships and commercial fishermen in international waters would no longer be bound by law to check levels of underwater noise that could constitute harassment of the whales, while vessel strikes that kill or injure the humpbacks might not be closely tracked. The proposed reclassification would see most humpback whales that enter U.S. waters in states such as Hawaii and California removed from the federal endangered and threatened species list along with eight other populations in countries including Mexico and Australia, said Donna Wieting, director of NOAA Fisheries’ Office of Protected Resources. The whales would remain endangered, providing the strictest of protections, in the Arabian Sea and off the Cape Verde Islands in northwest Africa. They would be upgraded to threatened in Central American waters and the western North Pacific off Japan, according to the proposal. U.S.-funded projects in other countries must abide by endangered species protections, as must U.S. commercial fishermen operating in international waters. The sweeping changes proposed for humpbacks come as government scientists estimate their current numbers in the tens of thousands worldwide, compared with fewer than several thousand when they were listed as endangered in 1970. The whales, once prized by hunters for their fat or blubber, can weigh up to 40 tons and span as many as 60 feet (18 meters) in length. Humpbacks are best known for periodically jumping out of the water, or breaching, behavior that has attracted throngs of people who take to the seas to engage in whale-watching. Commercial whaling was outlawed in 1966 by the International Whaling Commission. Humpback deaths in recent decades have resulted from ship strikes, entanglement in fishing gear, destruction of their marine habitat and incidental harassment by whale watchers, according to NOAA. 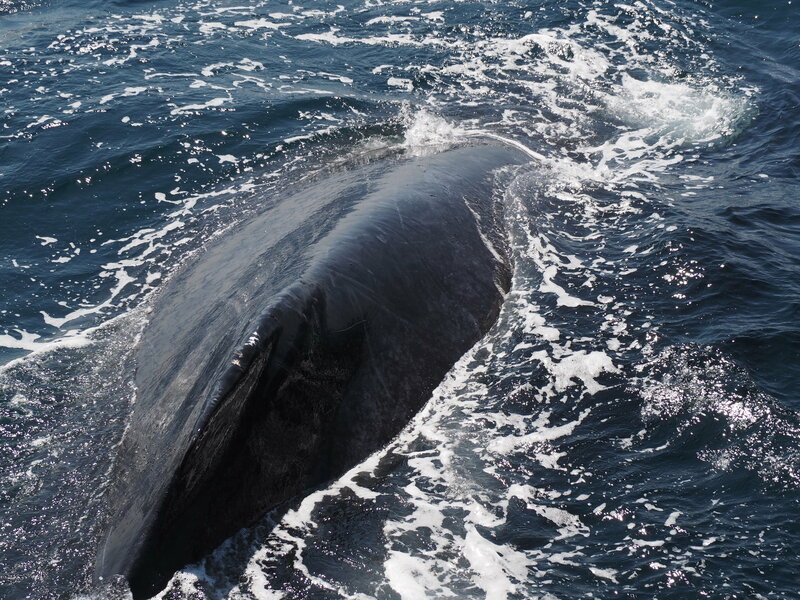 Earthjustice attorney David Henkin said the environmental law firm welcomed news that humpback numbers were climbing, but said those gains came from the protections federal fisheries managers were now proposing to lift. He said conservationists were reviewing the proposal to learn if it was anchored by scientific data and not politically driven. An animal rights advocacy group says it is “premature” to remove humpback whales from the endangered species list. The National Marine Fisheries Service (NMFS) proposed Monday to loosen the protections for certain populations of humpback whales. But animal rights activists warn that doing so could put the whales in grave danger. The Center for Biological Diversity is urging the federal government to stay the course and continue protecting all humpback whales. The NMFS has long protected humpback whales by listing them on the endangered species list. While some humpback whales would continue to be listed, the agency is proposing to either delist other humpback whale populations altogether or downgrade them to the threatened species list. The NMFS has identified 14 distinct populations of humpback whales. Of those, the agency is proposing to delist the humpback whale populations in the West Indies, Hawaii, Mexico and Brazil, and some in Australia and Africa. “It’s heartening to see that some humpback whales are recovering, but it’s premature to remove protections when so many threats, like climate change and ocean noise, are increasing,” Sakashita, said. “Since commercial whaling ended, humpbacks have enjoyed protection, but they’re still drowning in fishing gear and getting hit by ships,” Sakashita said.